Successfully Added Arduino Starter Kit - High Quality Board UNO R3, 50 Different Parts, 200 Individual Components to your Shopping Cart. Get your geek on with this Arduino Uno R3 super learning kit that comes with 50 different parts and 200 individual components. Learn the basics with this Arduino starter kit and work your way up to advance systems. This kit comprises 50 of the most common and useful parts including an Arduino UNO R3 board, 400 point breadboard, 9-volt wall adapter as well as transistors, servos, motors, resistors, relays, displays, buzzers, capacitors, button switches and much more. With a total of 200 individual components, this starter kit is ideal for experts and newbies alike. Just go online and you will find a plethora of tutorials with schematic diagrams and YouTube videos walking you through a range of projects. These will teach you all about simple circuits and control systems as well as guide you through the wiring and simple coding needed. 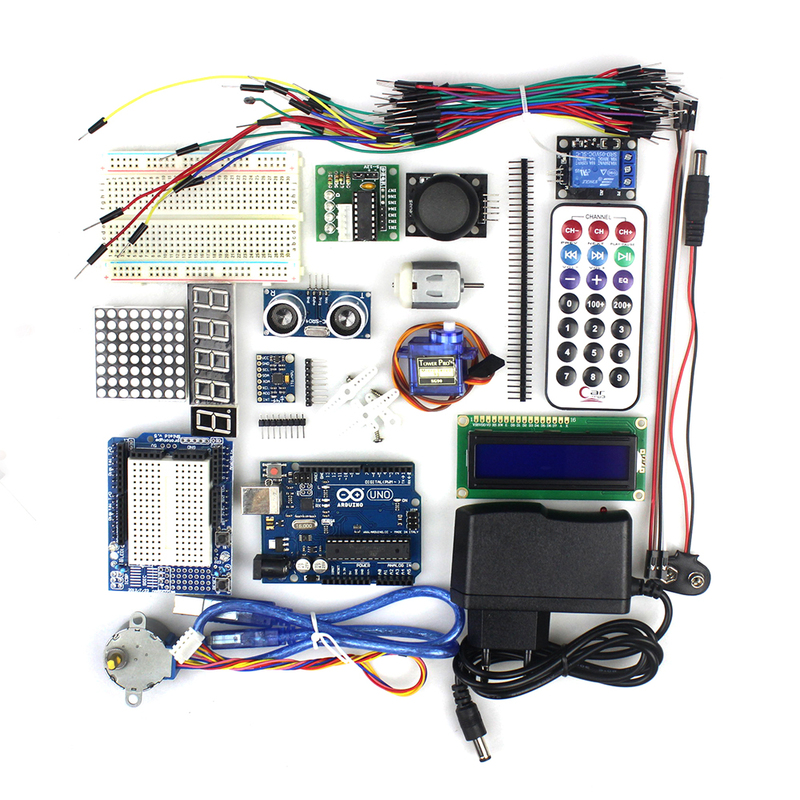 With the tools and components from this kit, you'll be able to work through many projects and master the knowledge of digital electronics systems which will let you invent your own systems and circuits. This Arduino starter kit is brought to you by the leader in electronic devices as well as wholesale cool electronics and gadgets..